With the leaves starting to change, harvest (somewhat) winding down for us Pinot Noir and Chardonnay producers, and a brisk chill in the morning air, the flavors of fall are sprinkled all around us.Autumn represents so many of our favorite things: sweater weather, boot season, bingeing on your favorite TV shows, and it being perfectly acceptable to stay home, curled up inside with a blanket, a good book and a glass of wine. Naturally, we’re also looking for every excuse to enjoy a hearty homemade meal with our Pinot Noirs and Chardonnays. 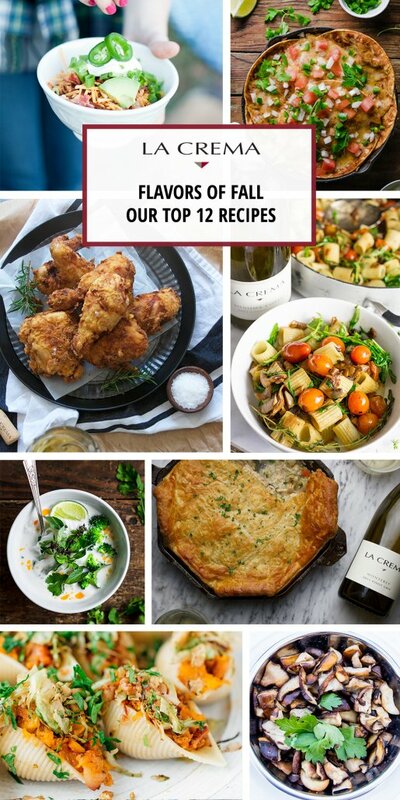 So, without further adieu, here’s our list of the best fall recipes to make this season. 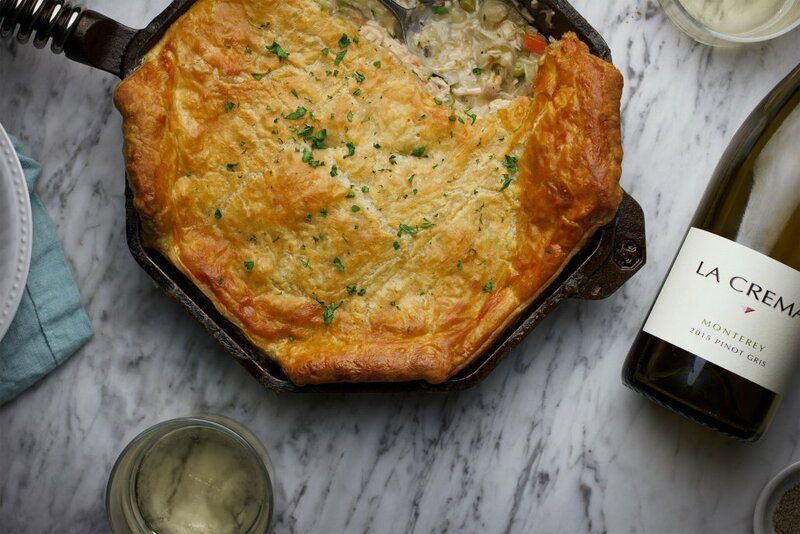 Probably the ultimate dish to channel flavors of fall, this Skillet Chicken Pot Pie paired with any La Crema wine is a delicious weeknight treat especially with an autumn chill in the air. 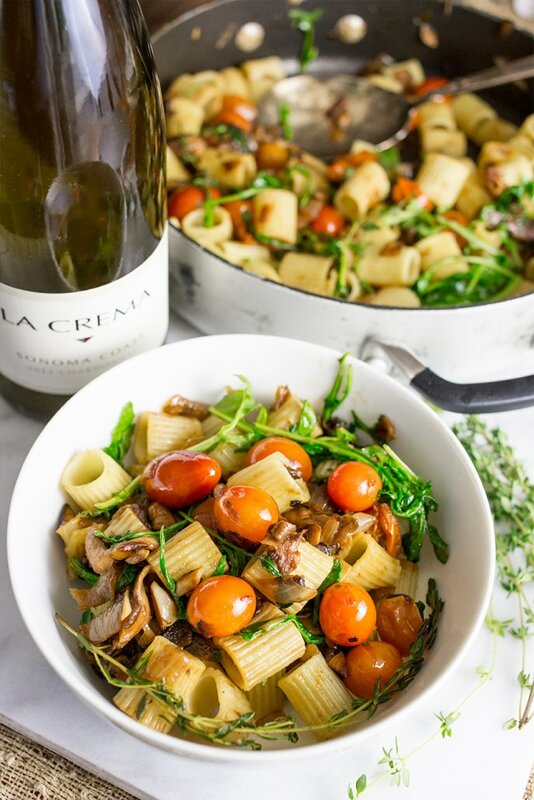 Savory pasta with earthy mushrooms and thyme, nutty arugula and sweet cherry tomatoes paired with a rich glass of Sonoma Coast Chardonnay will satisfy even the finickiest taste buds. P.S. It’s vegan friendly! 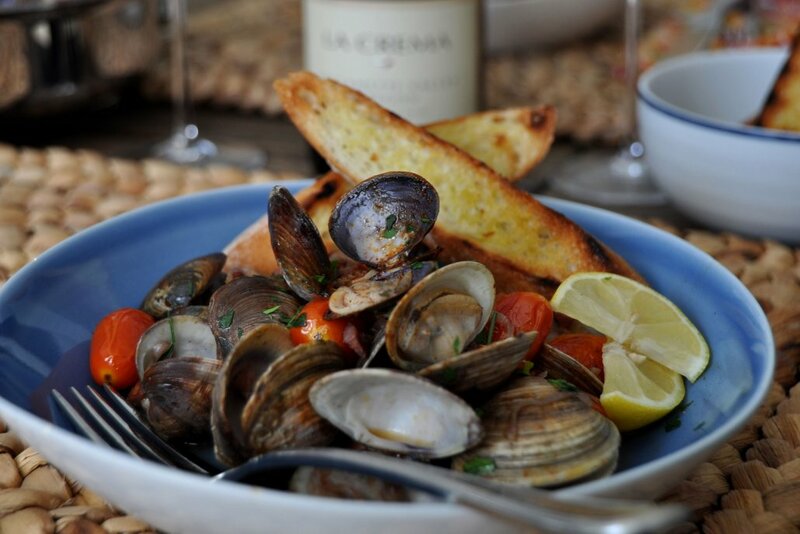 Indulge a surf and turf craving with this flavor-packed dish featuring clams and spicy chorizo with nicely toasted bruschetta. Enjoy alongside a cool-climate, seafood-loving favorite, our Monterey Pinot Noir. 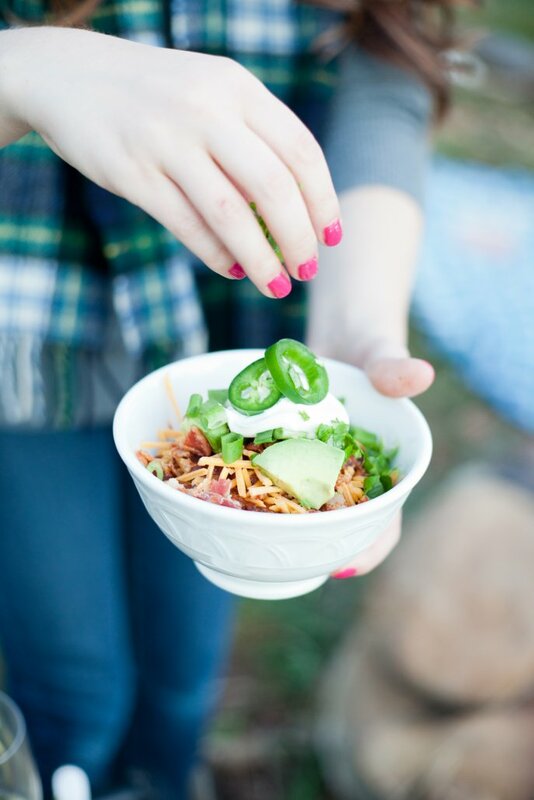 Autumn evenings outside around a campfire just got a little better with this healthy spin on chili featuring turkey as your main protein (though feel free to swap it for beef or pork if you prefer). 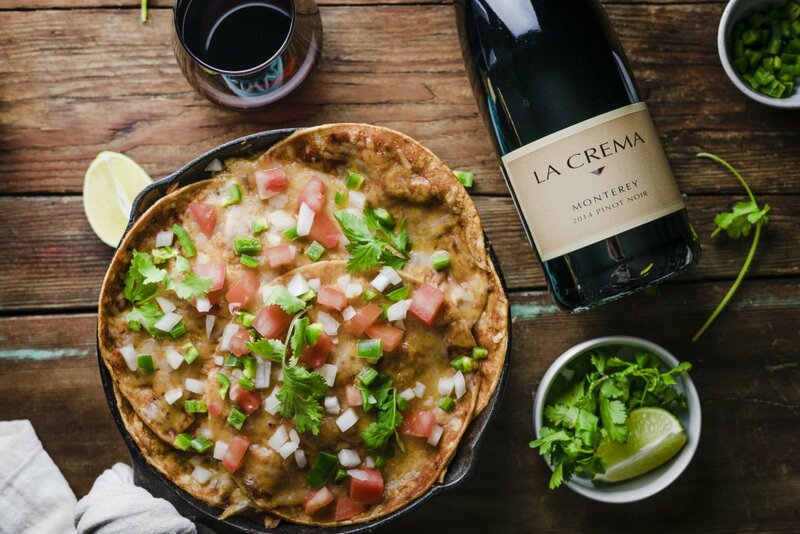 We enjoy pairing this fall recipe with a crisp glass of white wine like our Monterey Pinot Gris, but our Sonoma Coast Pinot Noir is a worthy choice as well. 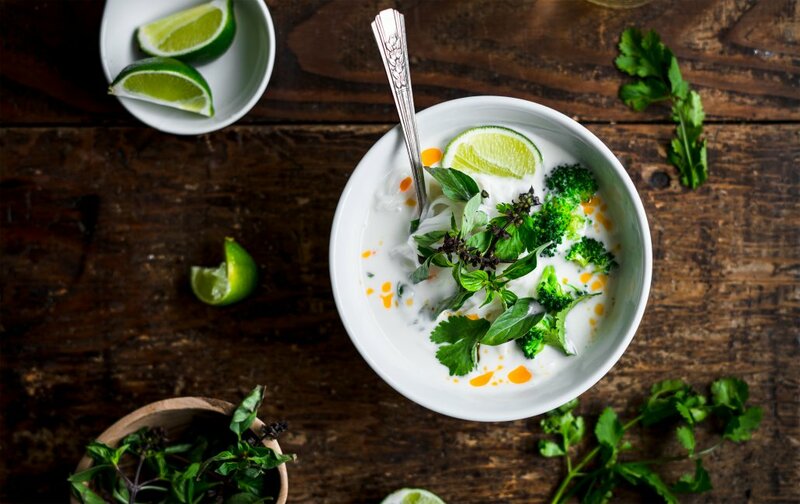 Thai food is favorite cuisine year round, but this rich soup featuring coconut milk, vegetables, Thai basil and cilantro is a lovely everyday indulgence and one of the best fall recipes to enjoy. 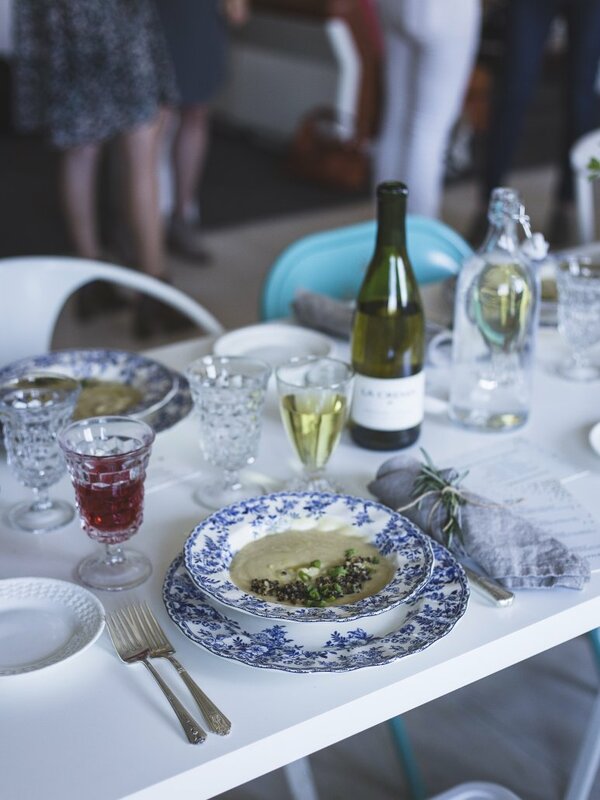 Serve alongside a glass of Monterey Pinot Gris. 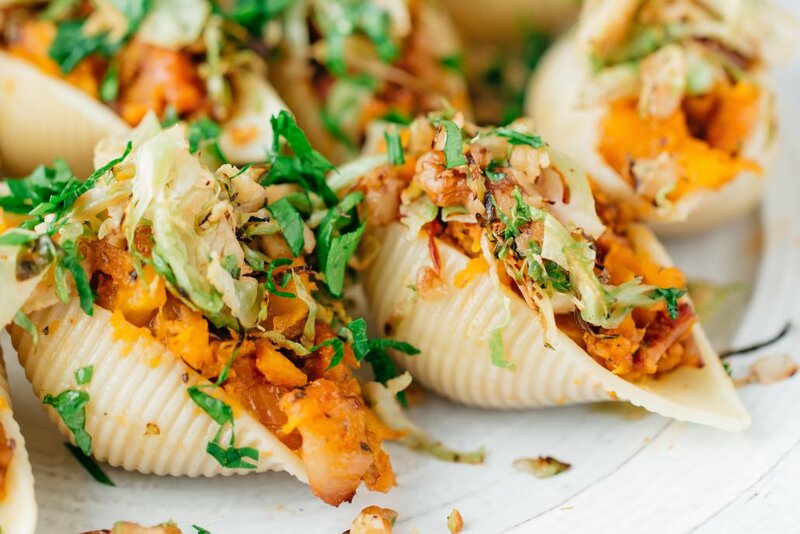 Probably the prettiest dish highlighting flavors of fall, we stuffed squash, bacon, and herb into conchiglie pasta and topped them walnuts and brussels sprouts. #delicious. Savor every bite with a glass of Willamette Valley Pinot Noir. Whoever discovered sweet and savory is obviously a genius. The spicy plum chutney over a savory pork loin alongside roasted vegetables is one of our favorite fall recipes. 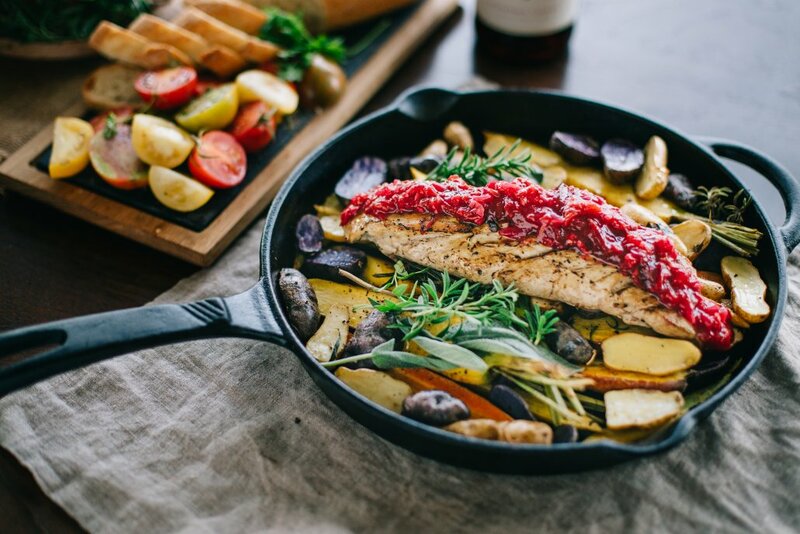 Paired with a silky glass of our Sonoma Coast Pinot Noir, this meal will definitely elevate your autumn dinner game. 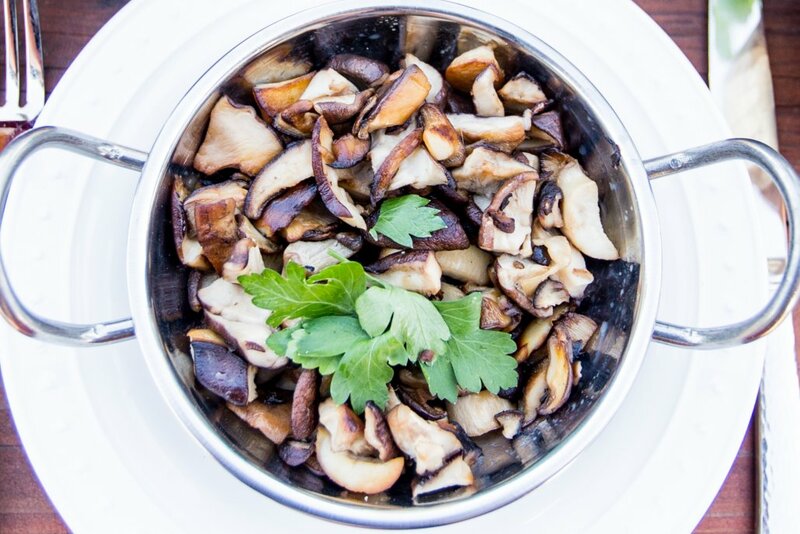 Never underestimate a perfectly sautéed batch of mushrooms, and definitely when making them, use Julia Child’s tip of, “don’t crowd the mushrooms!” to ensure you get the perfect sauté on all sides. These savory morsels are a lovely accompaniment to the following recipe for rack of lamb or of course, any steak. Lamb doesn’t need to be intimidating. 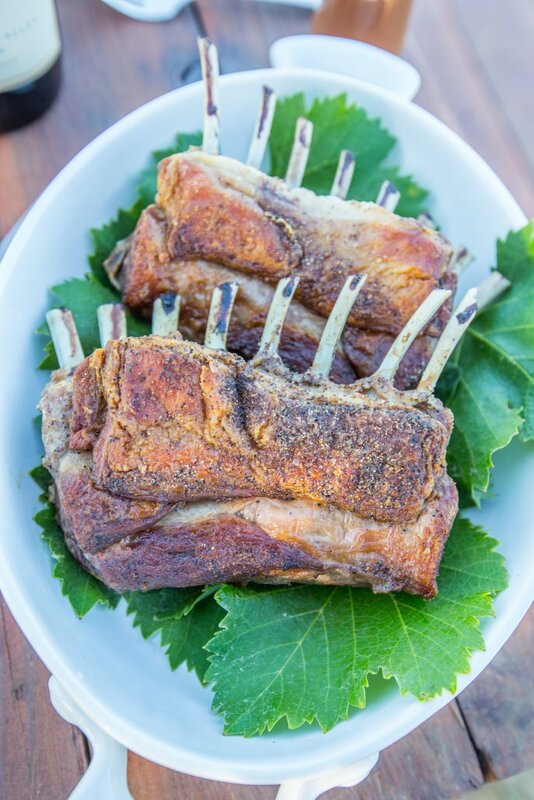 Following these simple tips for roasting rack of lamb and you’ll be sure to delight your dinner party guests. Enjoy with an earthy glass of our Willamette Valley or Monterey Pinot Noirs. This twist on classic enchiladas assembled flat in a cast-iron skillet is a hearty weeknight fall meal you and the family will want to repeat throughout the season. Topped with a squeeze of lime, cilantro and tomatoes, you’ll certainly go back for seconds and thirds. Savor every bit with a glass of Monterey Pinot Noir. While this soup works well in spring too, a rich bowl of this roasted leek and cauliflower soup on a cool autumn evening is certainly welcomed, especially with a side of toasty baguette slices. Here, our Sonoma Coast Chardonnay makes a lovely pairing option. 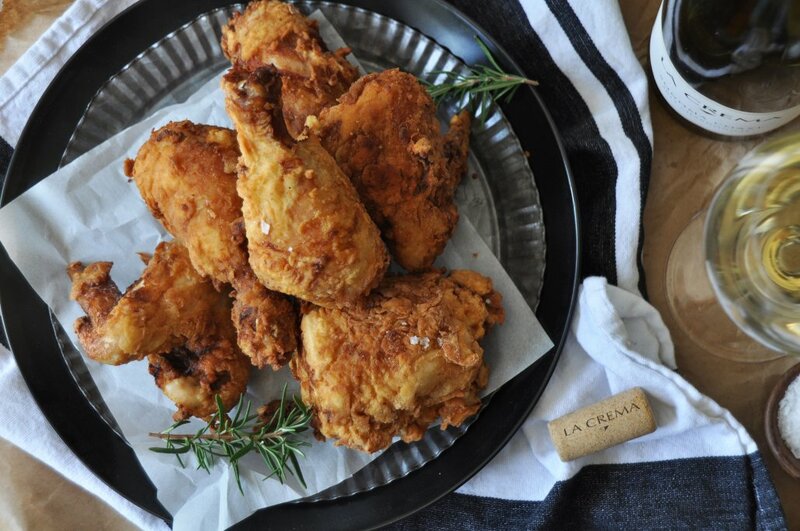 Last but not least, the ultimate finger-licking food, a perfect fried chicken. Make a batch to watch a football game or simply enjoy as a weekend indulgence, this is definitely one of our best fall recipes to whip up in the kitchen. Each bite is equally delicious either with a glass of Chardonnay or Pinot Noir. And there you have it! What are your favorite autumn meals that showcase flavors of fall? Tell us in the comments!